An Administrative Aide performs clerical tasks in the organization. 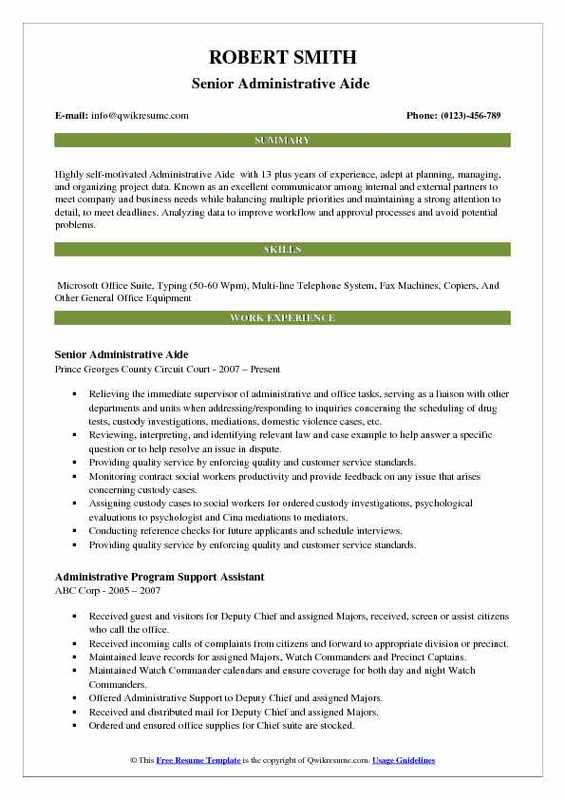 The common duties highlighted in the Administrative Aide Resume are word processing, printing and collating documents, scheduling appointments and supervising lower level staff. The roles and responsibilities in the underlined job description template are initiating and coordinating specific meetings, conferences and calls and preparing agendas, meeting notes and meeting material, researching and finalizing assignments. The individual also directs functions like billing, logistic, offline support, calls, files and reports to its respective personnel. 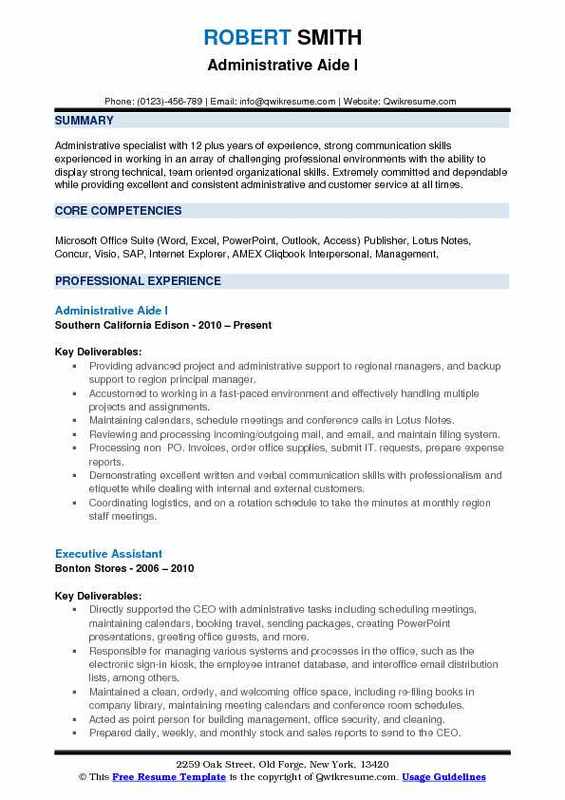 The skills required are proficiency in Microsoft office, strong oral and written communication skills, knowledge of the current technologies, ability to manage stress and interest to learn new things. The educational qualification required is bachelors degree or equivalent, experience in administrative, clerical and secretarial functions is a plus. Experience in filing and paper documents is also an advantage. 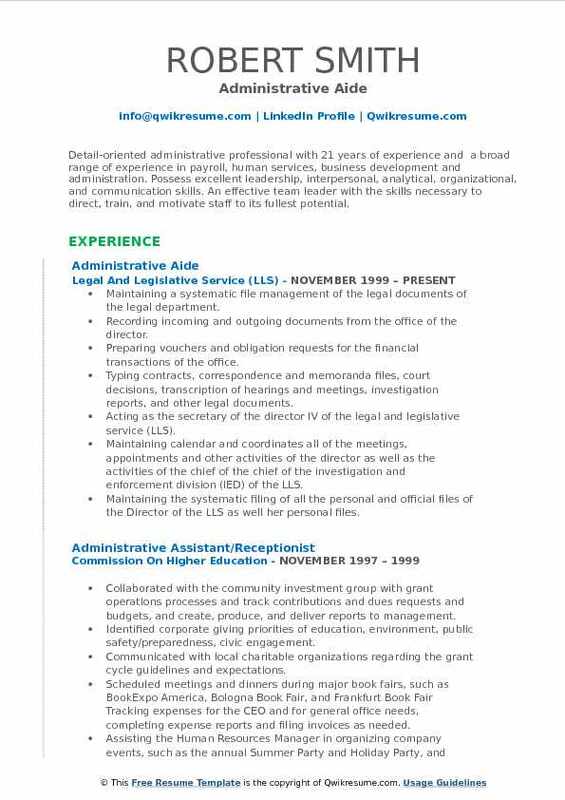 Summary : 14 plus years of experience as a Administrative Aide and a long history of working in the nonprofit arena. Able to learn new tasks quickly and proficient in growing key customer relationships. Represent establishment with friendly, professional demeanor at all times. Submitting monthly data reports on internal and external customer service calls, and customer service activities to the office of Central Service Management team. Responsible for approving and entering new and existing suppliers within the ERP and SAP. Providing monthly performance measures data to the office of central services. Providing quarterly CB-30 reporting to the office of the central services compliance department. Responsible for accumulating, organizing, and preserving procurement data along with standard analysis to compare and reporting. Reviewing results of satisfaction surveys, and other data related to customer service initiative. Providing and supports on-going education and training of office of central service staff on exceptional customer service skill and SAP. Facilitating the involvement of OCS staff with customer service activities to build teamwork and increase staff morale. Coordinating bid preparations, solicitation, awards and contract extension with using agencies and the sddd consistent with the county policy. Maintaining neat, complete, well-organized and legible records of all procurement transactions as required by law or policy. Able to work with various agencies and vendors to ensure excellent quality of service, communicate any changes or concerns in a written format based on policy and procedures set forth. Summary : Administrative specialist with 12 plus years of experience, strong communication skills experienced in working in an array of challenging professional environments with the ability to display strong technical, team oriented organizational skills. Extremely committed and dependable while providing excellent and consistent administrative and customer service at all times. Providing advanced project and administrative support to regional managers, and backup support to region principal manager. Accustomed to working in a fast-paced environment and effectively handling multiple projects and assignments. Maintaining calendars, schedule meetings and conference calls in Lotus Notes. Reviewing and processing incoming/outgoing mail, and email, and maintain filing system. Processing non PO. Invoices, order office supplies, submit IT. requests, prepare expense reports. Demonstrating excellent written and verbal communication skills with professionalism and etiquette while dealing with internal and external customers. Coordinating logistics, and on a rotation schedule to take the minutes at monthly region staff meetings. Representing the administrative employees on the LPA organizational development team in planning the LPA/LGA all-hands meetings and symposiums as a crucial part of major training corporate initiatives. Collaborating with the executive assistant in LPA Vice Presidents office to include region admins in monthly G.O. Admin meetings to share best practices. Designated point of contact for corporate real estate rep for onboarding and relocating of new LPA employees at Valencia service center. 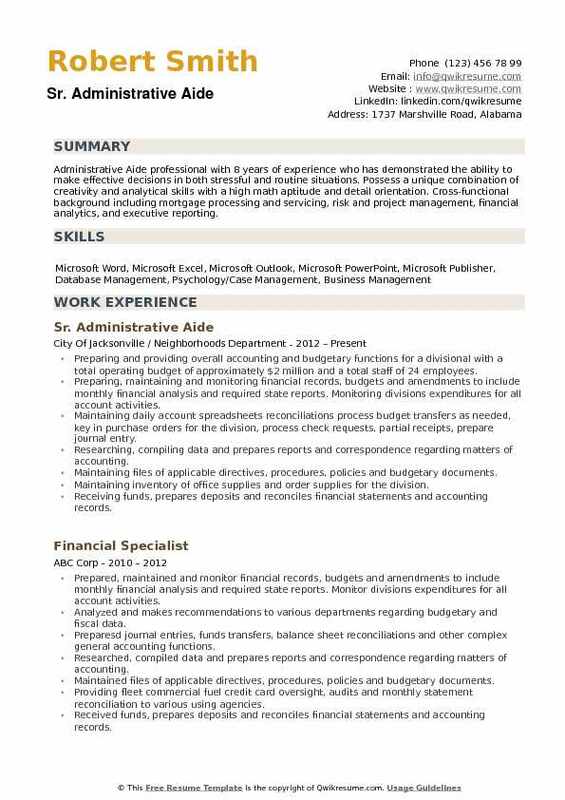 Summary : Highly self-motivated Administrative Aide with 13 plus years of experience, adept at planning, managing, and organizing project data. Known as an excellent communicator among internal and external partners to meet company and business needs while balancing multiple priorities and maintaining a strong attention to detail, to meet deadlines. Analyzing data to improve workflow and approval processes and avoid potential problems. Relieving the immediate supervisor of administrative and office tasks, serving as a liaison with other departments and units when addressing/responding to inquiries concerning the scheduling of drug tests, custody investigations, mediations, domestic violence cases, etc. Reviewing, interpreting, and identifying relevant law and case example to help answer a specific question or to help resolve an issue in dispute. Providing quality service by enforcing quality and customer service standards. Monitoring contract social workers productivity and provide feedback on any issue that arises concerning custody cases. Assigning custody cases to social workers for ordered custody investigations, psychological evaluations to psychologist and Cina mediations to mediators. Conducting reference checks for future applicants and schedule interviews. Organizing workflow and ensure that employees understand their duties or delegated tasks. Summary : Detail-oriented administrative professional with 21 years of experience and a broad range of experience in payroll, human services, business development and administration. Possess excellent leadership, interpersonal, analytical, organizational, and communication skills. An effective team leader with the skills necessary to direct, train, and motivate staff to its fullest potential. Skills : Microsoft Excel, Microsoft Word, Proficient in Microsoft Outlook, PowerPoint, Publisher, Adobe Acrobat, Internet Functions. Maintaining a systematic file management of the legal documents of the legal department. Recording incoming and outgoing documents from the office of the director. Preparing vouchers and obligation requests for the financial transactions of the office. Typing contracts, correspondence and memoranda files, court decisions, transcription of hearings and meetings, investigation reports, and other legal documents. Acting as the secretary of the director IV of the legal and legislative service (LLS). Maintaining calendar and coordinates all of the meetings, appointments and other activities of the director as well as the activities of the chief of the chief of the investigation and enforcement division (IED) of the LLS. Maintaining the systematic filing of all the personal and official files of the Director of the LLS as well her personal files. Preparing/drafting the yearly performance accomplishment report of the Director. Entertaining walk-in queries/inquiries and phone calls from different government and private offices and entertains individuals seeking an appointment with the Director. 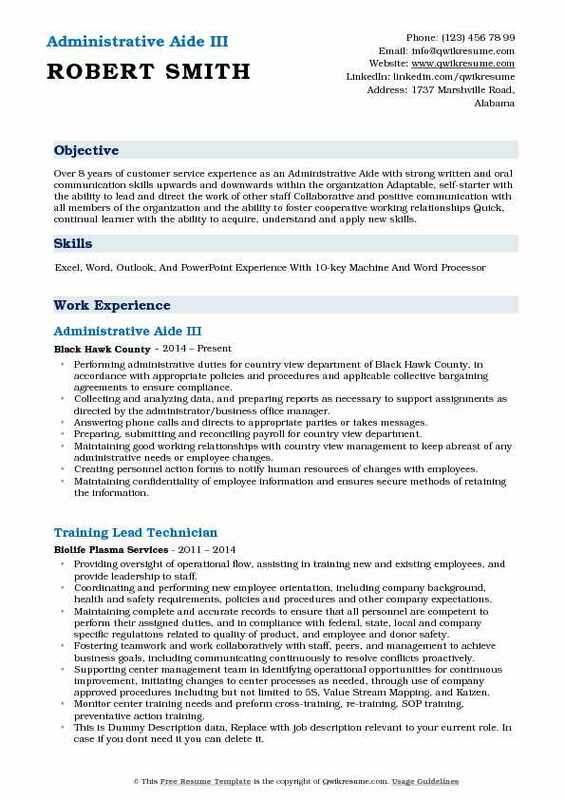 Objective : To obtain a position where I could effectively apply my skills and knowledge and to give an opportunity to work productively and accurately in your company. Principal aide to revenue collections manager and revenue collections supervisor. Compiling, completing, and distributing monthly reports to evaluate the division performance, efficiency, and develop recommendations to advise manager for the purpose of process improvements. Reviewing divisions operation, organization, policies and procedures for a possible adjustment in order to expedite work, and otherwise assist in the solution of administrative and management problems. Researching and writing of any request for proposals as part of the city procurement process. Assisting with evaluation of new vendors and contracts, as well as process and reconcile invoices for payments through Buyspeed city purchasing application. Assisting with the evaluation of current ordinances and possible rewrites to the city municipal code. Responsible for acknowledging and replying to all division-related public records request and subpoenas. Acting as the division procurement, human resources, green team champion, and emergency response liaison. Performing in-depth analysis of funding request, budget allocation, and expenditure for city contract with water company of America. Aide and corresponding to neighbors complex questions and concerns escalated to division management. Summary : Over 8 years of customer service experience as an Administrative Aide with strong written and oral communication skills upwards and downwards within the organization Adaptable, self-starter with the ability to lead and direct the work of other staff Collaborative and positive communication with all members of the organization and the ability to foster cooperative working relationships Quick, continual learner with the ability to acquire, understand and apply new skills. Performing administrative duties for country view department of Black Hawk County, in accordance with appropriate policies and procedures and applicable collective bargaining agreements to ensure compliance. Collecting and analyzing data, and preparing reports as necessary to support assignments as directed by the administrator/business office manager. Answering phone calls and directs to appropriate parties or takes messages. Preparing, submitting and reconciling payroll for country view department. Maintaining good working relationships with country view management to keep abreast of any administrative needs or employee changes. Creating personnel action forms to notify human resources of changes with employees. Maintaining confidentiality of employee information and ensures secure methods of retaining the information. Opening, sorting and distributing incoming correspondence including faxes and mail. Maintaining/updating payroll and process facility payroll through the county system and balance bi-weekly payroll reports. 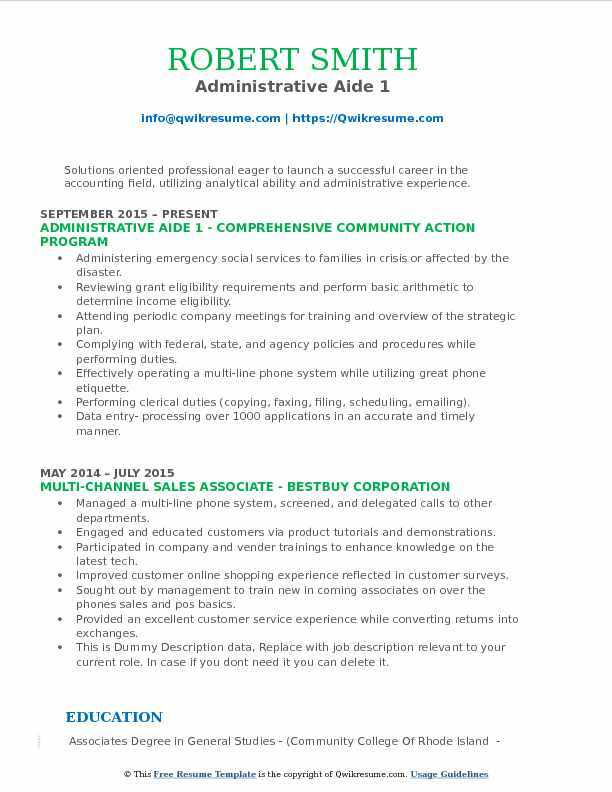 Objective : Solutions oriented professional eager to launch a successful career in the accounting field, utilizing analytical ability and administrative experience. Administering emergency social services to families in crisis or affected by the disaster. Reviewing grant eligibility requirements and perform basic arithmetic to determine income eligibility. Attending periodic company meetings for training and overview of the strategic plan. Complying with federal, state, and agency policies and procedures while performing duties. Effectively operating a multi-line phone system while utilizing great phone etiquette. Performing clerical duties (copying, faxing, filing, scheduling, emailing). Data entry- processing over 1000 applications in an accurate and timely manner. Performing face to face client needs assessments in order to identify barriers hindering social sustainability. Serving as a liaison between families in need and varies statewide social service agencies. Collaborating with individuals and families from diverse educational, economic, and cultural backgrounds. 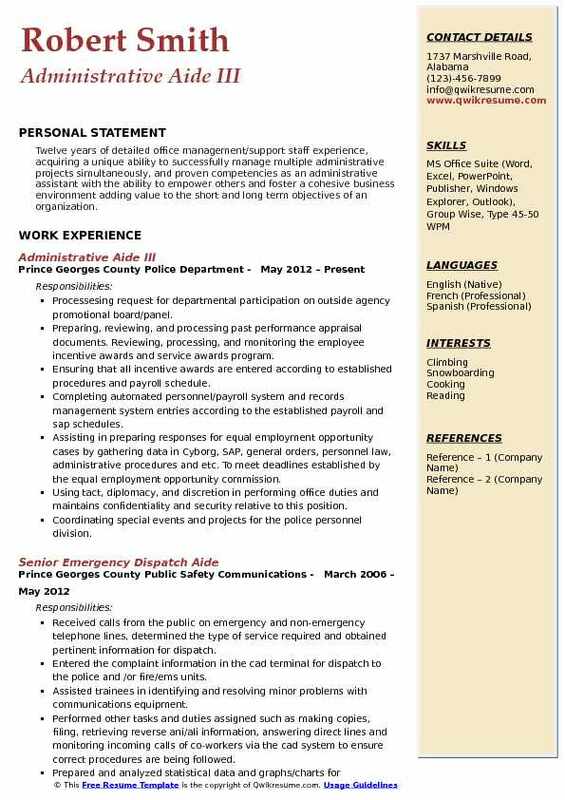 Headline : Administrative Aide with 6 plus years of experience in the Police Department is seeking a position in the field of Information Technology. Have Applied to Graduate School Veteran. Responsible for contacting sworn applicants to inform them of their hire date and explain in detail where to report and, what documentation they need to bring the day of orientation. New hire orientation, distributing orientation packages. Explain each form and answer questions. Reviewing all forms for missing information and or errors. New hires will be escorted to the unit assigned to start working. Explaining departmental policy regarding pay increases and other related personnel questions per union contracts. Performing personnel action functions in Oracle system. Maintaining, reviewing and collecting data pertaining to sworn and civilian employees. Responsible for changes in status, such as promotions, demotions, salary increases, classification changes, resignation, and dismissals. Participating in the preparation of sworn promotional ceremonies and distribution of certificates and badges. Generating verification of employment letters for sworn and civilian and/or through a third party. 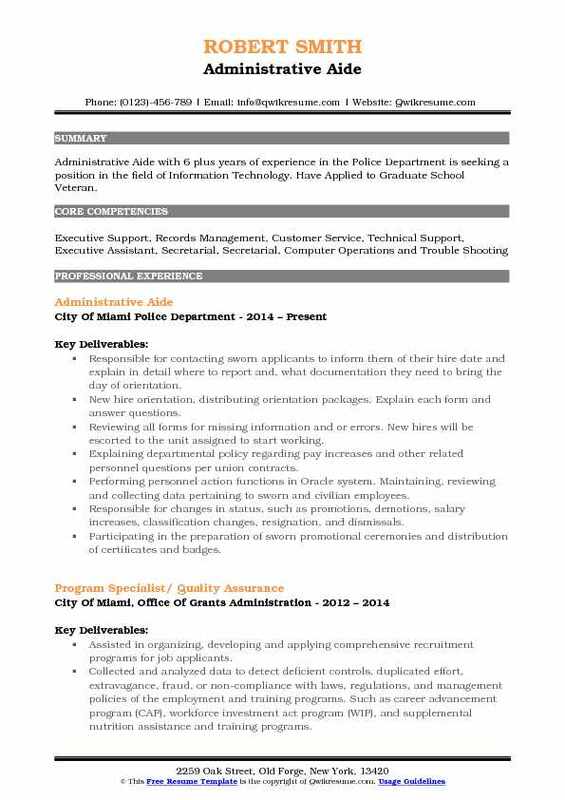 Generating monthly personnel actions information for the official city of Miami police department bulletin. Assisting interpreting union bargaining contracts for sworn and civilian employees. Recommending changes and revised existing orientation content for sworn and civilian. Summary : Twelve years of detailed office management/support staff experience, acquiring a unique ability to successfully manage multiple administrative projects simultaneously, and proven competencies as an administrative assistant with the ability to empower others and foster a cohesive business environment adding value to the short and long term objectives of an organization. Processesing request for departmental participation on outside agency promotional board/panel. Preparing, reviewing, and processing past performance appraisal documents. Reviewing, processing, and monitoring the employee incentive awards and service awards program. Ensuring that all incentive awards are entered according to established procedures and payroll schedule. Completing automated personnel/payroll system and records management system entries according to the established payroll and sap schedules. Assisting in preparing responses for equal employment opportunity cases by gathering data in Cyborg, SAP, general orders, personnel law, administrative procedures and etc. To meet deadlines established by the equal employment opportunity commission. Using tact, diplomacy, and discretion in performing office duties and maintains confidentiality and security relative to this position. Coordinating special events and projects for the police personnel division. Receiving visitors and telephone calls for the police personnel division. Typing, proofreading, editing, and preparing for distribution correspondence, reports, and standard forms using Microsoft office applications. 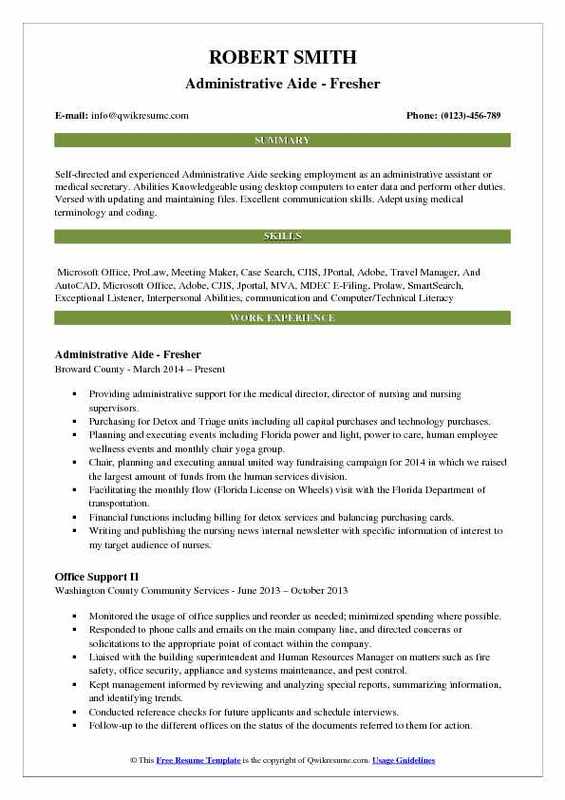 Summary : Administrative Aide professional with 8 years of experience who has demonstrated the ability to make effective decisions in both stressful and routine situations. Possess a unique combination of creativity and analytical skills with a high math aptitude and detail orientation. Cross-functional background including mortgage processing and servicing, risk and project management, financial analytics, and executive reporting. Preparing and providing overall accounting and budgetary functions for a divisional with a total operating budget of approximately $2 million and a total staff of 24 employees. Preparing, maintaining and monitoring financial records, budgets and amendments to include monthly financial analysis and required state reports. Monitoring divisions expenditures for all account activities. Maintaining daily account spreadsheets reconciliations process budget transfers as needed, key in purchase orders for the division, process check requests, partial receipts, prepare journal entry. Researching, compiling data and prepares reports and correspondence regarding matters of accounting. Maintaining files of applicable directives, procedures, policies and budgetary documents. Maintaining inventory of office supplies and order supplies for the division. Receiving funds, prepares deposits and reconciles financial statements and accounting records. Serving as liaison for the division regarding HR matters; payroll and trainings issues. Handling or have limited access to divisional records and information of a confidential and/or sensitive nature. Making travel arrangements and coordinates logistical details for meetings. Summary : Valuable administrative professional offering eleven years exemplary experience coordinating, planning and supporting daily operational, technical and office management support. Demonstrated capacity to provide comprehensive support to executive-level staff; excel at scheduling meetings, performing human resources functions, and managing essential programmatic tasks. A team player that is detail-oriented, accurate, professional and accountable. Skills : PC/Windows. Software: Microsoft Office Suite (Word, PowerPoint, Excel, Outlook), Google Drive, Quickbase, Ellucian ADVANCE Fundraising Database. Education and human development (second largest school at NYU) in achieving annual revenue goals in excess of $13m. Provided administrative support to assistant dean and two development officers. Managed complex schedules/calendars, coordinated meetings with the high profile donors and faculty members, prepared and processed team expense reports. Booked hotel reservations, flights and conference registrations for fundraising. Oversaw and administered two departmental budgets, provided logistical assistance for donor and alumni relations events, prepared and updated department presentations hired and supervised student assistants. Managed gift processing for the team: administered all school contractual gift agreements, prepared and processed required documents for all donor gifts to ensure compliance with university policies. Compiled, entered and updated donor data in university fundraising database. 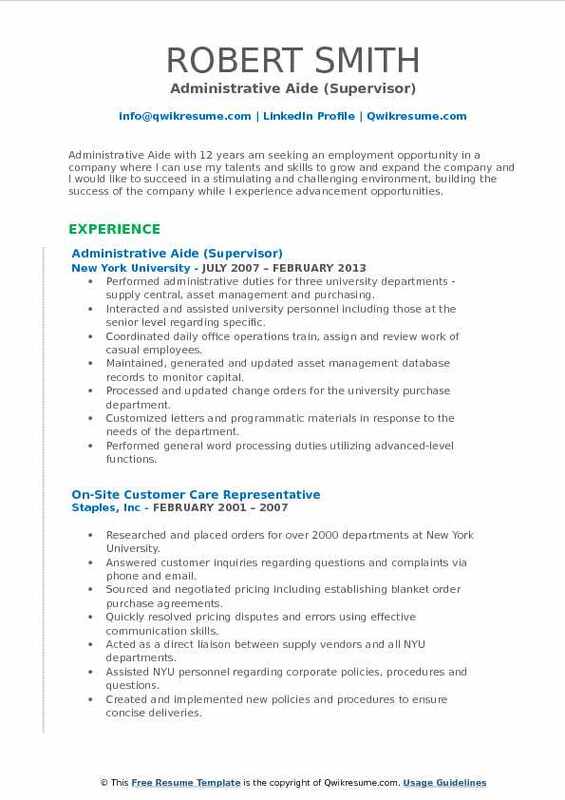 Headline : Committed and motivated Administrative Aide with exceptional customer service and decision making skills. Strong work ethic, professional demeanor and great initiative. 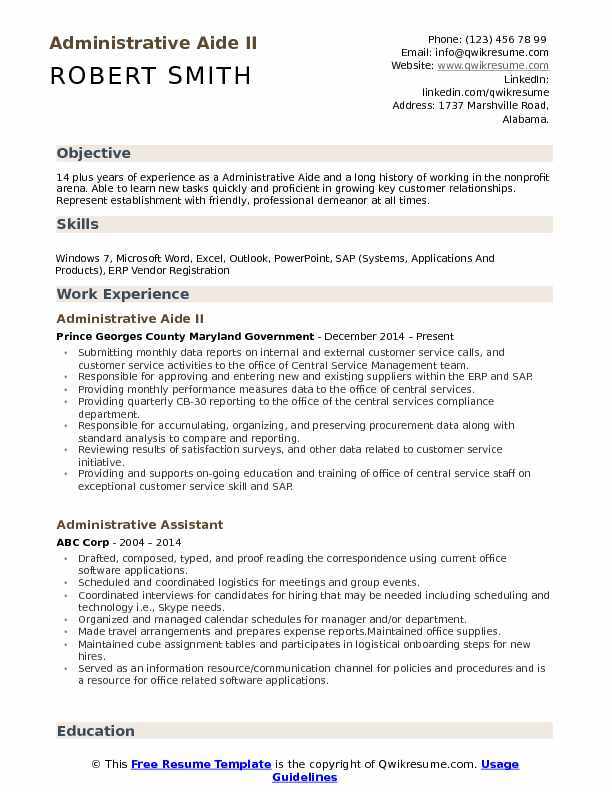 Energetic Administrative Aide with over 7 years of experience in high-level executive support roles. Organized and professional. 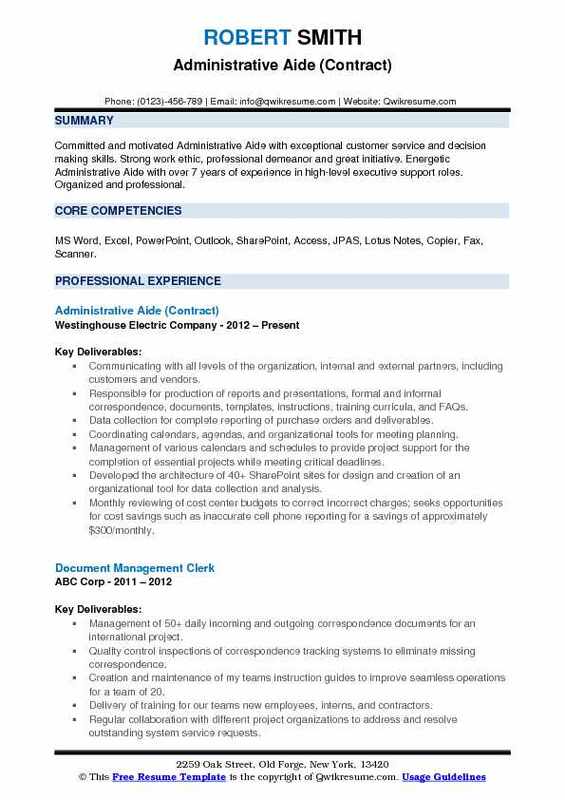 Skills : MS Word, Excel, PowerPoint, Outlook, SharePoint, Access, JPAS, Lotus Notes, Copier, Fax, Scanner. Communicating with all levels of the organization, internal and external partners, including customers and vendors. Responsible for production of reports and presentations, formal and informal correspondence, documents, templates, instructions, training curricula, and FAQs. Data collection for complete reporting of purchase orders and deliverables. Coordinating calendars, agendas, and organizational tools for meeting planning. Management of various calendars and schedules to provide project support for the completion of essential projects while meeting critical deadlines. Developed the architecture of 40+ SharePoint sites for design and creation of an organizational tool for data collection and analysis. Monthly reviewing of cost center budgets to correct incorrect charges; seeks opportunities for cost savings such as inaccurate cell phone reporting for a savings of approximately $300/monthly. Sought out by HR manager in a separate department to provide support for employment matters. Delivery of group training sessions on proper business correspondence and travel and expense systems to ensure that workflows and approval processes adhere to company policies and contract requirements. Arrangement of personalized coaching as required. Identification and initiation of a correspondence tracking system to ensure timely responses and data retention, with an elimination of a 75% backlog. 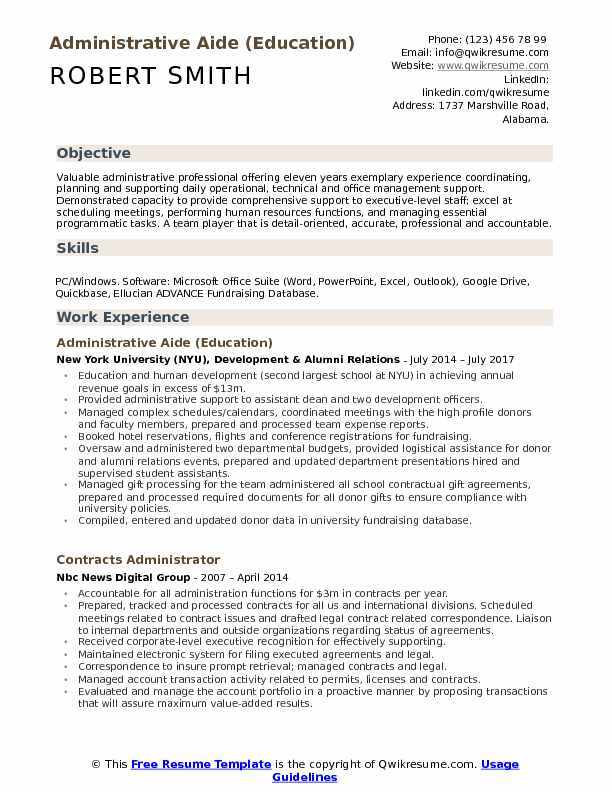 Objective : Self-directed and experienced Administrative Aide seeking employment as an administrative assistant or medical secretary. Abilities Knowledgeable using desktop computers to enter data and perform other duties. Versed with updating and maintaining files. Excellent communication skills. Adept using medical terminology and coding. Providing administrative support for the medical director, director of nursing and nursing supervisors. Purchasing for Detox and Triage units including all capital purchases and technology purchases. Planning and executing events including Florida power and light, power to care, human employee wellness events and monthly chair yoga group. Chair, planning and executing annual united way fundraising campaign for 2014 in which we raised the largest amount of funds from the human services division. Facilitating the monthly flow (Florida License on Wheels) visit with the Florida Department of transportation. Financial functions including billing for detox services and balancing purchasing cards. Writing and publishing the nursing news internal newsletter with specific information of interest to my target audience of nurses. 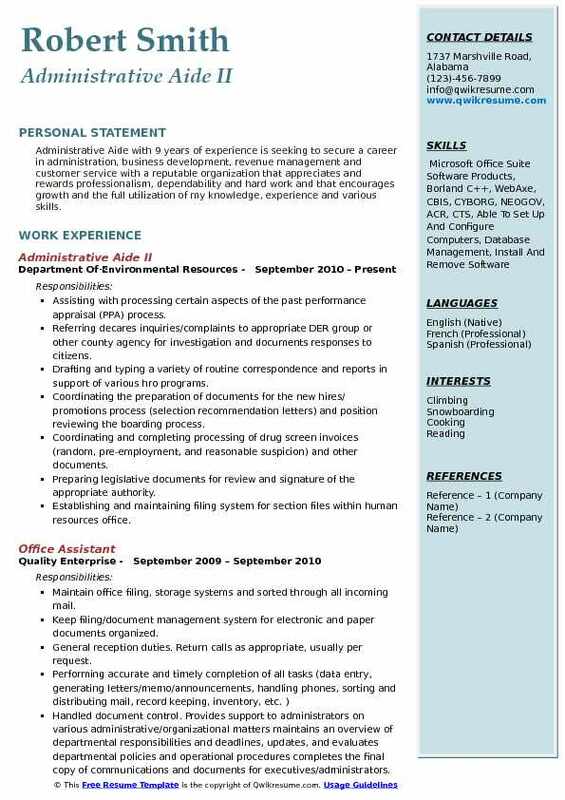 Summary : Administrative Aide with 12 years am seeking an employment opportunity in a company where I can use my talents and skills to grow and expand the company and I would like to succeed in a stimulating and challenging environment, building the success of the company while I experience advancement opportunities. Performed administrative duties for three university departments - supply central, asset management and purchasing. Interacted and assisted university personnel including those at the senior level regarding specific. Coordinated daily office operations: train, assign and review work of casual employees. Maintained, generated and updated asset management database records to monitor capital. Processed and updated change orders for the university purchase department. Customized letters and programmatic materials in response to the needs of the department. Performed general word processing duties utilizing advanced-level functions. Planned, coordinated and organized various events, meetings and conferences. Initiated and processed requests for office services, supplies, equipment, and repairs. 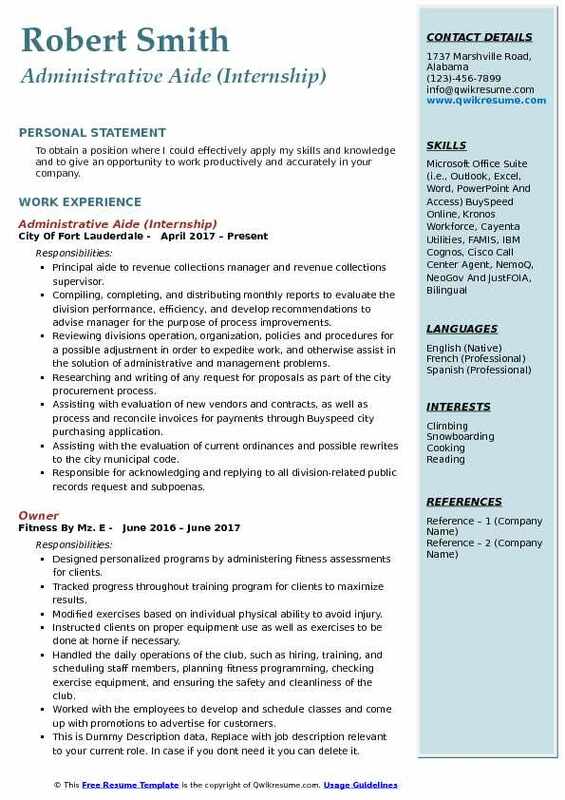 Summary : Administrative Aide with 9 years of experience is seeking to secure a career in administration, business development, revenue management and customer service with a reputable organization that appreciates and rewards professionalism, dependability and hard work and that encourages growth and the full utilization of my knowledge, experience and various skills. Assisting with processing certain aspects of the past performance appraisal (PPA) process. Referring decares inquiries/complaints to appropriate DER group or other county agency for investigation and documents responses to citizens. Drafting and typing a variety of routine correspondence and reports in support of various hro programs. Coordinating the preparation of documents for the new hires/ promotions process (selection recommendation letters) and position reviewing the boarding process. Coordinating and completing processing of drug screen invoices (random, pre-employment, and reasonable suspicion) and other documents. Preparing legislative documents for review and signature of the appropriate authority. Establishing and maintaining filing system for section files within human resources office. Performing a variety of related duties and responsibilities which serve to relieve supervisor from administrative detail. Providing phone coverage to the legislative and community affairs office when necessary. Attending training classes to professionally update background and keep current on new techniques in county government.